← Welcome to the MBA Blog! Looks like some more warm weather will soon be returning the Maritimes! With it we’ll see some of the early butterfly species. Species already on the wing at this time of year can be split into two major groups – those that overwinter as adults and those that overwinter as immature stages. 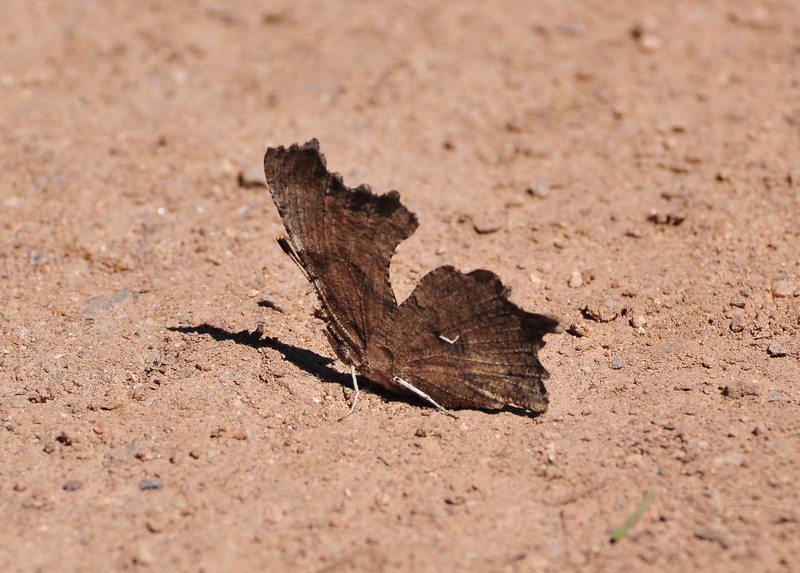 The earliest emerging species, Mourning Cloak, the comma species and the tortoiseshell species overwinter as adults. Because of this, they can emerge even mid-winter if the weather gets warm enough. Next to emerge are Cabbage White, and the elfins and azures. These overwinter as chrysalids, and therefore probably need a bit more warmth in order to get going in the spring. Interestingly, many other species, such as Canadian Tiger Swallowtail and Short-tailed Swallowtail, overwinter as chrysalids, and would seem to be ready to go as soon as it is warm enough. However, emergence in these other species is delayed for several weeks or even months after the first warm days of spring. Species that have been recorded so far this year (as of May 16) include Mourning Cloak, Compton Tortoiseshell, Green Comma, Gray Comma, Hoary Elfin, and Cabbage White. With the warm weather forecast for the latter half of this week there will surely be more elfin and comma species recorded. Other early species like Mustard White, Northern Cloudywing and the duskywings will fly soon too. Forest roads and trails can be quite productive at this time of year, especially those near bogs and fens. The photograph below was taken on May 14th along Aboushagan Road just north of Sackville, New Brunswick. Though the weather was miserable when the photo was taken this year, last year on the same date Sarah Robinson, David Mazerolle, and I documented Eastern Pine Elfin, Bog Elfin, and Brown Elfin at the location on our lunch break!